Attention! Don Purdum will help you earn more customers! →Attention! Don Purdum will help you earn more customers! Hi everyone, my blogger and business partner this week is Don Purdum. I’m so excited to spotlight him on this blog and bring you all together. Who is Don by the way and why should you connect with him? For nearly ten years, Don has owned seven businesses, mostly in the area of web design, web development, and online marketing. Of those businesses two were highly successful, one failed miserably, and the others were painful experiences that led him to a deeper study and appreciation of owning a business. Over the years of interacting with hundreds of clients on websites, Don has seen and learned how the average business owner is disengaged and uninformed about their own businesses. At times, it made it hard to build anything other brochure websites that did nothing more than offer a business the opportunity to say they had a website. He realized there had to be more. Most don’t have any idea of to define their vision and strategies; define measurable goals; and create tasks (objectives) to fulfill their goals. Because a website and online marketing strategy is tied so closely to the business, if these things are missing their website and messaging will misfire causing issues with marketing, sales, production, and customer service. In the fall of 2013, Don set out to do something very different – a coaching and consulting program for his website customers with an aim of helping them learn how to better message, engage, and earn more customers who are willing to pay them more money. Wildly successful, his program has branched out to include business coaching and working clients across many different industries and fields. “Don is an experienced business owner and is gifted in understanding websites, marketing and sales processes online. More importantly, he has an in-depth understanding of the psychology of online salesmanship. 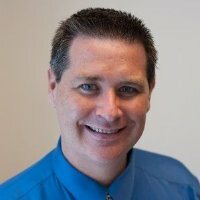 He creates top of the line websites that inspire and motivate site visitors to take action because he has created an innovative process where both he and his client learn as much about your business together as possible so that the website can communicate your uniqueness online. Some articles to read on Don’s blog! Why Should I Visit Your Website, Stay On It, or Buy From You? Time to interact with Don! Check out Don’s articles and website, drop him comments here. Be free to ask questions. He’ll be here to answer. Yes, I’ve seen you around on a lot of blogs lately, though somehow we’ve not yet connected, so a good place to start. You have an impressive blog with SO many comments and having tried and tested a lot of things all these years, must make you a gifted coach! I’d surely be checking out your blogs and sites – great going! It’s good to connect with you through Enstine! I’ve seen you around as well. It’s been a lot of fun the last few months building a community and working to help other people achieve their dreams and goals. After all, that’s a big part of achieving mine! It took me some time, but I finally figured out for me what great content means. I see too many people writing in the same style, format, structure, topics, etc… I decided I wanted to be very different. Even on social media. I really believe that’s what’s making the difference when I add the heavy marketing and promotion of my work to the mix. I have a business friend who asked me just last week why I don’t put quotes on my social media businesses pages like everyone else does. I asked her to look at my Facebook post reach – at that moment it was almost 1-6 – for every one follower there was a post reach of 6 people; why should I be like everyone else? They key to these great folks like Enstine I have been fortunate enough to meet is that they have their own voice, have thought deeply about their business, and that translates into their writing. That equals success in my opinion. I want be different. I don’t want to be another “7 Ways to Increase Your Twitter Followers” and be like everyone else. Let’s give people something they can really use, and let’s show off what we can really do for them. Let’s make them want to buy us after we show them how we can solve their problems. Isn’t that what business blogging is really supposed to be about? Thanks so much again Harleena for the very generous words!!!! Hey Enstine You are doing great by Intoducing some great bloggers who are coming in front to help other newbies This thing will surely gonna help us. Wow! It’s nice to read about Don Purdum here today, know why? Cause I’ve been seeing you around lately on many different blogs, on kingged and of course on my blog. And that comment was one of the loveliest comment have gotten on my blog till date. Thanks! So speaking of, I’m happy Enstine brought this up again and I was actually gonna ask him cause I’m thinking to start this on my blog too but don’t know how best to go about it. I really enjoyed the article you wrote and will be stopping back by your blog soon. I appreciate the kind words and I’m grateful I could be a blessing to you! I appreciate your kind words Sam!!! Awwwwh……I’m so happy to read those words. Thanks! And I can’t wait to have you back there sir. I’m on my way over shortly Sam! that’s a really nice spotlight on Don and I learned something new about him from your post. I came across his name recently in a post on Sylviane Nuccio’s blog, but didn’t check his blog yet. Now I have one more reason to go over and visit him. I appreciate you taking a moment to share and I do hope to connect with you! I have really enjoyed reading Don’s blog lately. My favorite post was how to turn a spam message into not spam- it is a message many people can learn from, especially as they are trying to build their businesses. It’s good to see Enstine featuring you here on his wonderful website. It feels strange to write “I learned something new about you” when I knew NOTHING about you 1 1/2 weeks ago! Haha. I like how your writing style isn’t like every other we see on the web. I believe this, and obviously the altruistic way you share the content of others, is a big part of your website’s success in two short months. Anyway, I’ve shared this post on Google+. Hope many people who haven’t already discovered you will discover you thanks to Enstine’s feature. Thank you so much for your kind words and encouragement! It’s an amazing journey in short time for certain. It’s definitely and exciting time!!! Thank you for sharing. I’m certain Enstine appreciates it as well. Looking forward to seeing you around the web. What a great interview and information on how you got to where you are today. All the information that you provide us on a daily basis is so helpful and needed! Thanks for taking a moment to drop by on Enstine’s website. I appreciate your kind words. I hope you’ll take a look around Enstine’s blog… he is amazing and can offer you some very interesting ideas. Great intro to who you are and why you can help! I think you are spot on with the having a clear vision thing! Thanks for sharing. Thank you for the kind words! Without vision, you have nothing to base your business or website on. What will you accomplish? Who will you accomplish for? Why should they use you? You cannot create strategies, goals, or objectives (tasks) to measure if you’re fulfilling your vision or dreams. I’ve recently started hearing about Don and his website and only a few days ago and I’m literally kicking myself for not finding out about it sooner. Those links to the blog posts that he wrote there is just the beginning of the horde of great content you’ll find on his blog … I’m planning on spending some time in the next couple of days to catch up and read more of his content. The great thing about Don’s site that I like is that it’s just so unique ad different. From the theme to the colors to the writing style. Like I said, I never knew about Don a week ago (though I seen some posts shared on Kingged) but I’m glad I started to pay attention. Hope the both of you have a great weekend. You are the BOMB!!! Thank you for your incredibly kind words. I’m touched, honored, and blessed and words cannot express my gratitude for your kind words or for the opportunity that Enstine has offered me on his blog! I hope to never let you guys down and offer a voice that is unique, relevant, compelling, and different. It sounds like you are doing great things to help people with their businesses. I have read some of your blog posts and you have great tips! Keep it up! Thank you for jumping over to Enstine’s blog. What a blessing. I appreciate the kind the words. If you think I have something to offer, Enstine is an amazing man, writer, and marketer himself. You want to get to know him. I just checked out this blog and it looks like he has a lot of great advice. Thank you for the introduction! Thank you for stopping by. Both Enstine and I appreciate the visit. I’ve seen Don around the web a lot lately. I love that he’s got the experience to back up what he’s saying. Thank you for the acknowledgement. As I said in a recent blog article, one of the biggest mistakes people are making is following “supposed” experts that are leading them further into the forest. We have to find our own voices, uniqueness, vision, purpose, strategies and so on… When we do, it makes it so much easier to resonate with an audience that wants what we have to offer. Again, thanks for the comment Rosey! Don is doing great things for businesses. I have only been in the same career for seven years helping other businesses and its amazing how many people do not know how to control their businesses online. It’s nice to see you here!!! It’s really not too surprising when you consider that most businesses have no idea whey they are really in business. I get it starts with selling something, but what are you really selling? How do manage marketing, sales, production, customer service, and administration – all things that have to happen for a business to be successful. Thanks again for the kind words Paulina! Don, I didn’t know that you Design websites and also on Internet Marketing like I do. I don’t know when you started but I just started last January 2013. Although my website traffic is doing pretty good, I still have a lot of work to do. And right now my head is spinning. I have to finish this eBook on InDesign. Coz I hate Microsoft Word, I can’t seem to create a template in there for my eBook. So InDesign is easier to deal with. I have been reading this on Amazon. And now I have a headache. LOL. Also, I’m in the process of creating a course in Udemy…this too is another project that needs to be done this year. So far, I found a partner for my company who can host my clients the best and secured way. I wouldn’t recommend Hostgator, they used to be my hosting service. But moved away from them. Anyway, although I’ve been online now for over a year, I feel like I am running like a tortoise. So much to do. So little time. Just now I’m beginning to make myself known on these Meetup Groups. So far so good. This is quite different from online approach. I love the face-to-face approach. Nothing beats meeting someone in person! Thank you, Enstine, for posting this about Don Purdum. I didn’t have a chance to get to know him deep down if it wasn’t for this post. I need more Designer & Marketer in my field. Compare notes and stuff. Glad to have found you thru Adrienne Smith. I’m glad you both can flow 😉 You are certainly going to be doing a lot together and it’s really been a huge pleasure having Don spotlighted on my blog. Yep, you didn’t look at the homepage or services tab on my site? LOL… I have a lot of offerings, but I have also been in the industry for over 10 years combined. I’ve done a lot, experienced a lot, gained a lot, lost a lot, gained more back… It’s all part of the learning process as you fail your way to success. I actually coach web design companies across the country on how to grow their business, message, market, and understand their business models. Check out the services tab and learn more about our business coaching program if you like. Thanks again for all the kind words and I’m so happy we are building a friendship through a community!!! Sounds like you have a lot to offer! Nice to learn about you and your services! Thanks for your comment. I appreciate you taking a moment. It is good to know that Don builds websites and helps with marketing. What talent! Thanks for the kind words Michelle. Wow what a number of great testimonials! You always have such great information to share. . Thank you for the kind words and for visiting Enstine’s blog. I hope you’ll take a few minutes and visit his articles. I guarantee you there is something here he can and will help you with! That’s a lot of great services to offer. Thanks for sharing. I’m thinking that the failures have probably taught as much as if not more than the successes. I’m sure Don has proved very valuable to many! Thank you for stopping be! Failure is the key to my success… and in fact anyone’s success. If you were to study the titans of our time… Donald Trump, Steve Jobs, Bill Gates, Steve Forbes… pick any you know of… every one of their breakthroughs came from their failures. Some of them very, very public. We only learn how to succeed through failure, which comes from taking the risk… Think about it, when was the last time a success led to more success? It doesn’t happen that way. Thanks for stopping by Liz. Hope you’ll go through Enstine’s site. He is amazing and has incredible content to help you as well. Hi! I think it’s important to really start with a vision and mission. The statements should be clear in any business. I really wish it were that simple. If it were, everyone would do it. The truth is vision and mission come to you… it’s a process much like the nine month process of pregnancy and birth. Only experience can help bring a true vision and mission born of passion. Now, you can have small visions with strategies, goals and objectives. But even those start at a more basic level of really understanding what problems you solve, who you solve them for and how does your products or services help be a part of the solution. The process cannot be fabricated, but it can be nurtured with the right care. Great interview and it is nice to see how he got started and grow. I admire him for all the help he does for many people. Thanks for sharing. It’s funny, when I started almost ten years ago I didn’t realize all of the ups, downs, twists, turns, joys, fears, happiness, anger, frustration, failures and successes I would go through. Any success I’m having now didn’t come out of no where, it came out of all the experiences of nearly a decade learning, growing, and being determined to find a way!!! You did a great deal of work by fetching in Don Purdum for an interview at your blog. I have been following him over the social media for past few days and I must say he’s awesome. Even the interview, speaks it all. Thank you for the kind words. If we are not connected on social media, let’s do connect! I never really started blogging as a business. I don’t have a business head but I have had my failures and my successes. I really do need to define my goals better. becka recently posted…Versatile Blogger Award!! ME!! I’m so happy! I admire bloggers who blog for the love it. Many business bloggers are stuck in the mode of marketing and money they forget that what will attract people is their uniqueness that shines through in their personality and writing style. Thanks so much for commenting Becka! What a great write up about this awesome man that I myself recently had the pleasure of meeting. Although Don and I have just visited each others blogs I have come to appreciate his wonderful sense of humor and lightheartedness. That’s how friendships develop and I see one growing very fast with him. Having visited his blog as well and seeing one of his videos I could tell that he was a pretty savvy business man. I have no doubt that he’s really been able to help his clients learn how to promote themselves online. It’s a whole different ballgame being here then just your brick and mortar location. Thanks for spotlighting Don and giving him more visibility to the online community. I’m sure there will be people who will be eager to see what he shares and start learning from him as well. WOW! What a treat. You are so king and I appreciate how you engage with all of your readers and followers. You do it right!!! I’m grateful for the new friendship that we are creating and look forward to engaging with you more as a blogging partner. You and Enstine have been very generous and a big part of what’s happening in my life and business right now and for that there is no gratitude that I can fully express. Except to share you guys everywhere I go and as much as I can!!!! I’ve got a new video to embed in my new blog article and on YouTube within the next hour. I really enjoy doing them and I’m getting everything setup to get back into speaking. I really enjoy that and the interaction that comes with a live audience as well. Thanks again Adrienne. Hope you have a great weekend! It’s not been long since Don set up his blog but it’s been more busy than a beehive. He sure knows where to place his fingers at the right time. thanks for sharing, he has some really great advice. I spend many hours a day doing online marketing, it is so important that you get your name out there and try to stand out. Great introduction. I think I have some friends who would be good clients for Don. WOW! I would love the opportunity to chat with you and them Patrinila. Please feel free to message me on FB or through my website. Great writeup. Don is a great blogger, recently started following him and really liked his writing style. Thank you for the kind words. I appreciate that you follow me and I hope to give you some incredible value for your time with me. First of all, I would like to thank you for mentioning Don Purdum. To be honest, I didn’t know that we have such greatness in the English blogosphere. I just read some of the substantial articles and strategies at his blog and after observing them, I learned dozens of new techniques. Planning to interview him at my blog. Again, thanks a lot and happy blogging! Thank you, your comment means a lot to me as I try hard to provide value and insights to help businesses and bloggers. Any time you want to chat or interview, just let me know. Your power headline says it all Enstine! Don is truly fabulous! Just about two ago, Don was gracious enough to invest about sixty minutes or so with me one on skype! And let me tell you, in that extremely short time, he hit me over the head with marketing proven gem after marketing gem! The guy is literally one proven marketing concept after another! He really pointed out several extremely critical, yet subtle flaws in my current online marketing approaches! I tell you Enstine our session together, was nothing short of fabulous! He asked me to answer as honestly as I could, several keys (but oh so) important and critically key questions, that I clearly had overlooked! Or just plain hadn’t totally thought out correctly! And then he listened intently and smiled a sly smile as I ( a supposedly) sophisticated marketer/savvy small business owner, literally struggled like everything to try and answer him honestly! His smile seemed to suggest, just how many times previously, that he’s been able to open an entrepreneurs mind to what’s really going on! And going forward, what really needs to be done to accomplish our stated objectives! Enstine, had I known ahead of time, that he was going to impart so much workable and extremely valuable knowledge, during our session! I would have recorded our power session via Camtasia studio!LOl! So I must also agree with your headlines premise! Your involvement with Don, provided you implement his incredibly sound and proven real world advice! Will definitely make the possibility for you to be profitable online, so much more likely! His site (like yours Enstine) is quickly becoming one of my main online destinations! Thanks so much for showcasing him! WOW! What generous and kind words. I’m really blown away. Honestly. I appreciate what you said so much! I look forward to engaging with you more and getting to know you better.